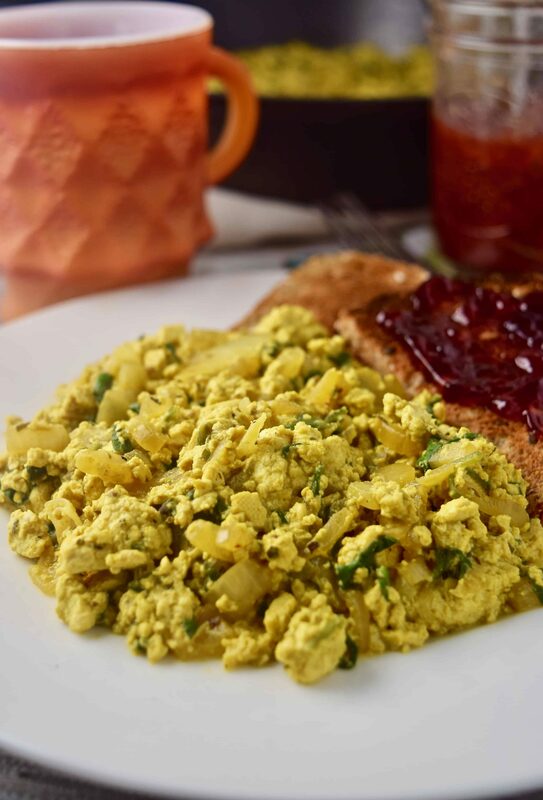 I stopped short of calling this the Best Damn Tofu Scramble because I’m a pretty humble guy. And, truthfully, there’s really no way of knowing if it is the best. 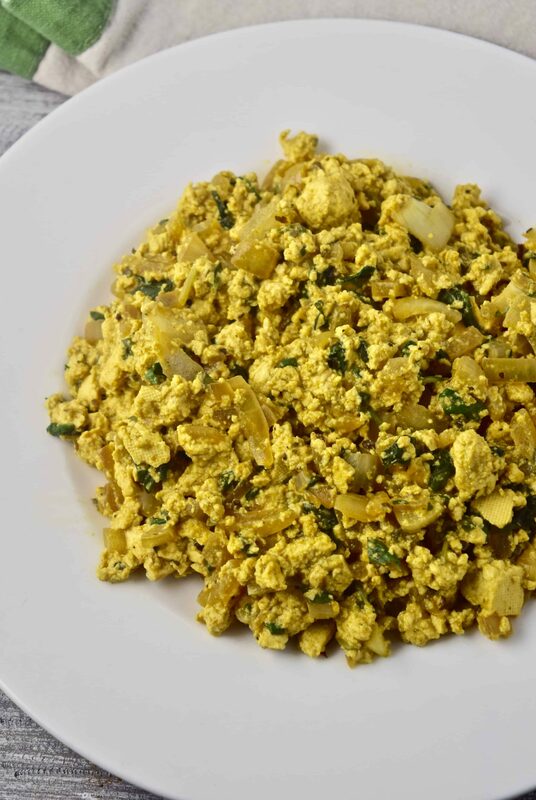 However, I do think it’s a damn good tofu scramble so that’s what I’m calling it: Damn Good Tofu Scramble! People tend to avoid tofu like the plague because they think it’s bland and complicated. This recipe is anything but bland and complicated. Not to sound arrogant, but this recipe is pretty awesome and will forever change the way you look at tofu. Eggs were never really my thing before going plant-based so letting them go wasn’t difficult. But, for some, eggs are like a morning ritual and the thought of giving them up for oatmeal is unbearable. Or, if you are already plant-based and still trying to figure out what to do with that block of tofu you bought three months ago. Stop wondering! This is what you do with it. 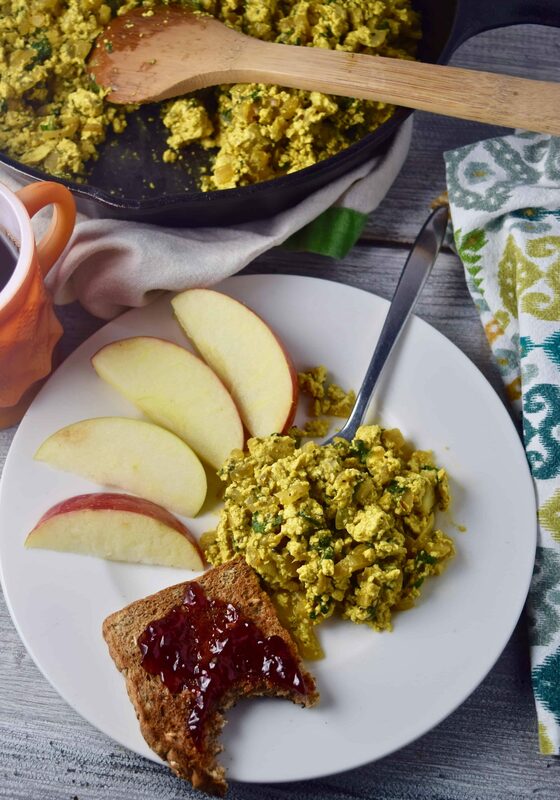 I think the best thing about this scramble is the fact it doesn’t taste anything like eggs…it’s better! Let’s face it, eggs are pretty bland until someone dumps all that salt and pepper on them. 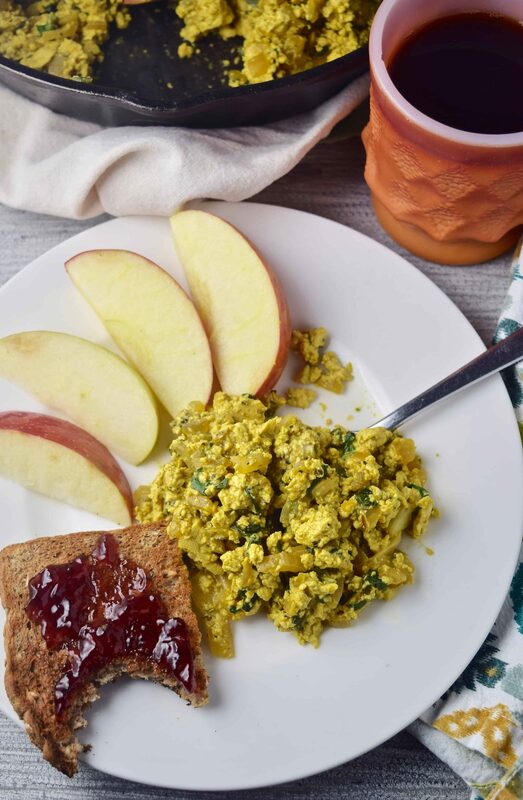 This scramble is an incredibly healthy way to start the day. There’s almost 20 grams of protein in just 8oz. of tofu. Not to mention it’s a great source of calcium as well. And, outside the seasonings, you can make this even healthier by adding whatever veggies you want to the mix. Pile it on! Breakfast is the most important meal of the day so it should be easy, plant-based, delicious, and exciting. Tofu? Exciting? Absolutely! This dish is great by itself, but paired with my Spicy Vegan Breakfast Sausage, it’s heavenly. Be sure and let me know if you try this recipe! Leave a comment; take a picture; post it on Instagram; tag the photo #shaneandsimple; I’ll see your dish. Peace and feast! 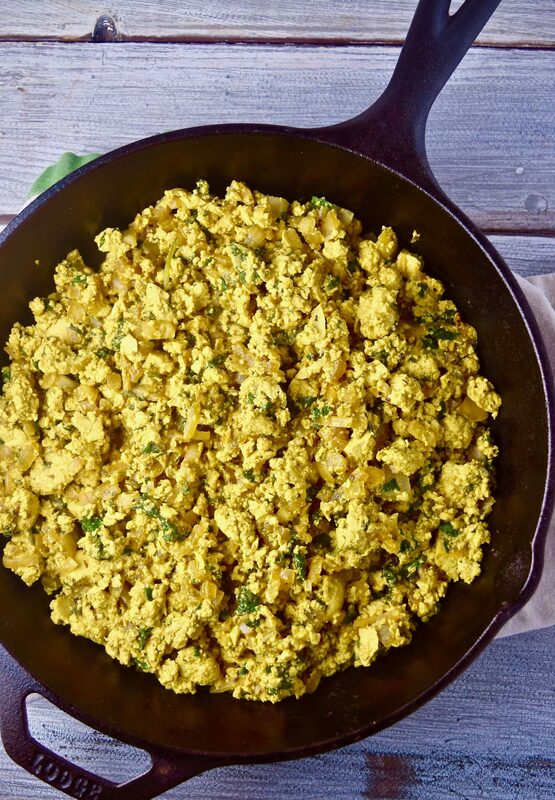 A damn good tofu scramble that is simple, hearty, savory, healthy and comes together in less than 20 minutes. Vegan, plant-based, and oil-free! Crumble tofu by hand into large mixing bowl and add all remaining ingredients, except for spinach & onion, into bowl with tofu and mix well. Once skillet is hot, chop onion and cook for about two minutes. Cook just enough to soften the onions. If you're worried about the onion sticking, add a couple tablespoons of water to the pan. Add tofu mixture and cook for 5-7 minutes, stirring occasionally. Add spinach and cook until spinach is soft. This dish is great by itself, but it's absolutely perfect with my Spicy Vegan Breakfast Sausage. Here's a link explaining the different types of tofu. Very helpful. Feel the freedom to adjust flavors to your own liking. Made it this morning! Combined it with the spicy sausage on your site (I crumbled the sausage patties to make them more of a scramble) and added my wife’s homemade breakfast potatoes. Added our favorite salsa on top and this was just an awesome weekend breakfast. This was seriously better than a local well known vegan restaurant here in Denver. Definitely a hearty breakfast. These made it on our “keeper list”. One other side note on this recipe. On step 2 make sure to mention the onion. Hold the onion and the spinach. Got it! Thanks for the heads up:) And, thanks for the kind words. Dana, thanks for the response! So glad you enjoyed it and thanks so much for the feedback. K….just found you…your recipes look awesome! Thanks so much for the message! Hope you enjoy. Peace. just made this for lunch and it was deeellish!! added mushroom and peppers with the onions and a little plant milk at the end…just because! Thanks! Pat, thanks for the response. And, love the idea of the red peppers! My hope is that people will take these recipes and make them their own. Glad you enjoyed it! Blessings. Wow! That’s sounds amazing. Thanks so much for reaching out and sharing. Just made tried this recipe….YUMMMM! Thank you so much. Susan, thanks so much! So glad you enjoyed it. 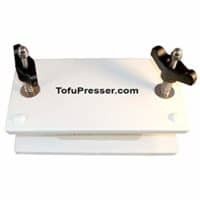 Does the tofu need to be pressed first? I’m a tofu newbie but want to give this a try! You can press it but I don’t for this recipe. 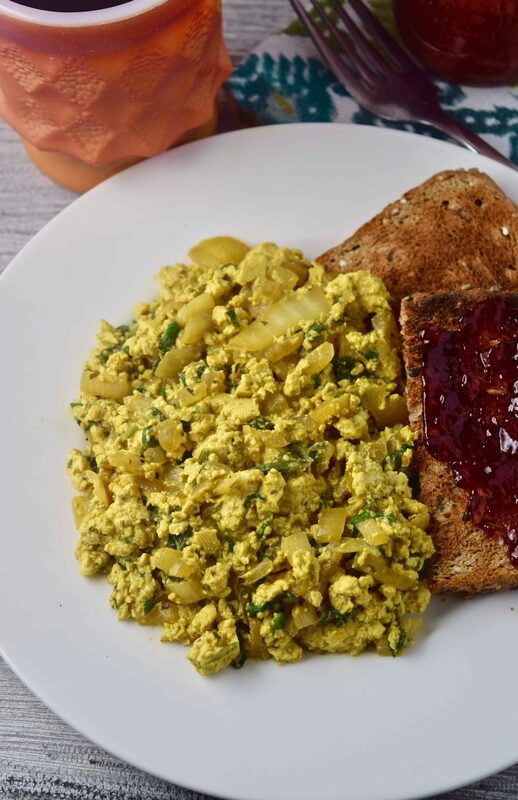 This was my first attempt at making a tofu scramble and it was delicious! I also made your spicy vegan sausage and it felt like our old Sunday breakfasts before we went plant-based. This will now become part of our Sunday breakfast rotation! Thanks! Thanks so much. And, so glad you enjoyed everything. Nothing like those Sunday morning breakfasts. Oh my goodness! I admit I was hesitant to try this because I’m consistently disappointed in how my tofu cooking turns out. But this was so good! And easy! THank you for making this way of eating approachable and flavorful.